Yes, only six more weeks and Christmas will be here. Are you still looking for a nice present or gift for your loved ones? Of course you do. Who’s got all his presents ready six weeks ahead of christmas? But in any case, you should start thinking about ordering a custom scarf or custom blanket now. Although we are pretty quick with production, worldwide delivery takes some time. Of course, depending on shipping option. But we hope you join the party in time, so you can get in the mood with your christmas scarf or knit blanket. 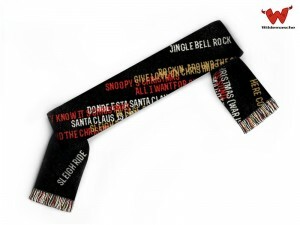 This entry was posted in News and tagged Christmas gift, christmas songs, custom blanket, custom scarf on November 15, 2013 by user2.